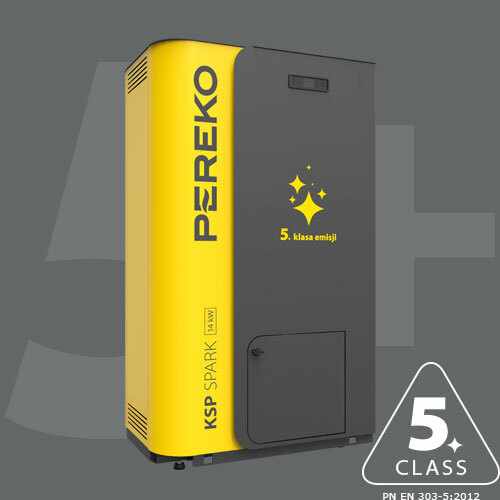 Long experience, original and proven solutions and thousands of satisfied users – we ensure full satisfaction from a choice of the boiler from PEREKO. Knowledge, experience and series of certification processes allowed us to adapt to the current trends and to offer a wide range of heating equipment meeting the requirements of every user. 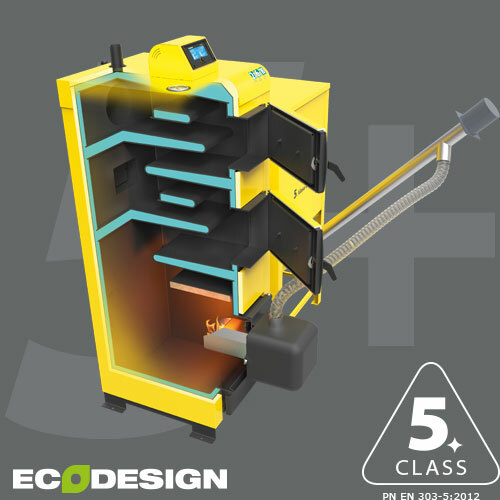 Our offer includes charging boilers (with the manual feeding of fuel), feeder boilers (with automatic fuel feeding) and boilers meeting also new requirements of the 5th class of emission and of the Ecodesign (EU). 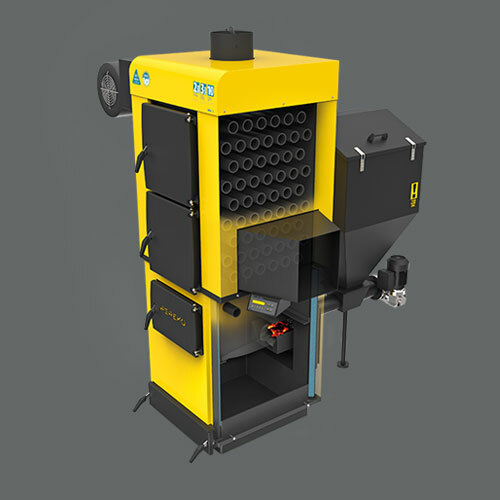 A whole range of charging boilers is equipped with a mobile water-cooled grate, ergonomic doors placed at an angle to improve tightness and facilitating cleaning. 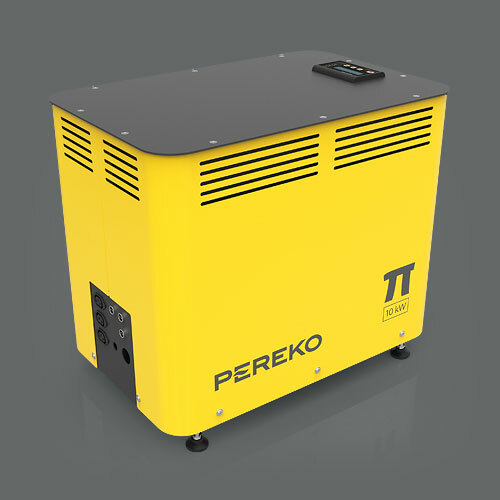 A wide range of power from 5 to 50 kW facilitates selection of the equipment for the heated area, what improves the efficiency and limits heat losses. Boilers with automatic feeder ensure comfort in use. For our customers we have prepared five models of boilers equipped with modern controllers allowing servicing the boiler from any place in the world. 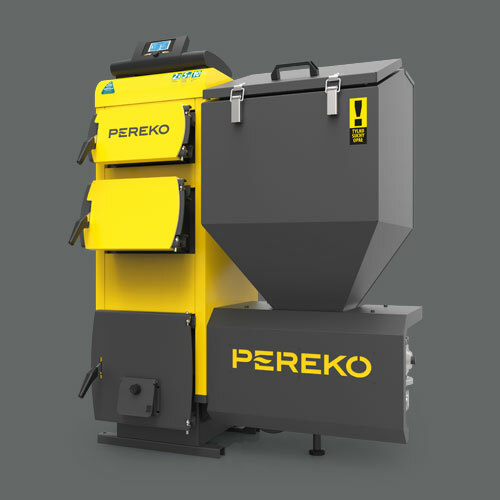 Boilers with automatic feeders include a wide range of products fired with various primary fuels — from eco-pea coal, through wood pellet, fine coal and oats. 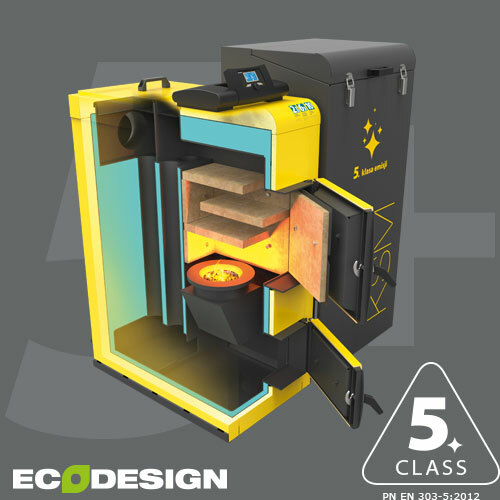 Boilers with feeder include also models meeting the requirements of the 5th class of flue gas emission according to the PN-EN 303-5:2012 as well as the requirements of the Ecodesign with Ecodesign mark. All tests have been carried out in the accredited laboratory what ensures their validity all around the country. Except boilers fired with solid fuels we offer dedicated and special devices. 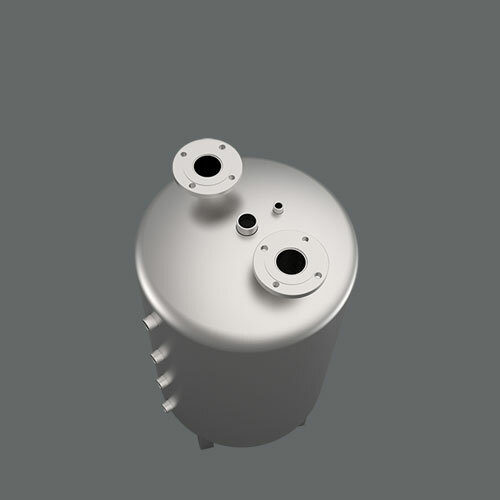 They include among others: a water-air heater for heating of large area, high-power boilers (range of thermal power from 85 kW to 300 kW), hot water stabilizer (SCW). in purchase or upgrading of the heating system. We are a stable company, taking care of continuous development and improvement of the products. This is evidenced by awards and enjoying the popularity of our products among thousands of satisfied and returning customers. We do everything to satisfy our customers. The products are adapted to the needs and we try to ensure the best maintenance and after-sales services. The whole team works to offer you the professional service and high-quality product at the lowest possible prices. We use modern welding robots during production processes. But in areas, where the structure should be exceptionally tight, we use double welds as one of the few manufacturers on the market. This is an operation requiring more time due to the participation of human but then we can provide you with a 10-year warranty for tightness of welding joints. Effective combustion in automatic boilers was achieved using the electronically controlled fuel feeding. Feeder unit corresponds for optimum dosing of the fuel, adapted for demands of the building for the given heat amount. Therefore instrumentation effectively replaces human work, relieving him/her at servicing of the boiler and influencing considerably economical consumption of fuel. The most important objective for our company is to offer durable heating devices. Therefore, we use proven metal sheets for its design, what ensures corrosion resistance and long lifetime of yellow structures. Our products are completely aligned with the Polish construction standards. We do everything to facilitate the every-day operations, which are often carried out during servicing of the boiler that is charging of the fuel or ash removal. We also try to make sure that our boilers will not only satisfy the users with their operation but also with their appearance. Therefore, our designers refreshed external body, adding more exclusiveness and ergonomics. Boiler fired with pellet with 5th class of emission, smooth adjustment of power and automatic igniter. One of the most economical device available on the market – efficiency ~ 93%. The classic body of the KSR series, adapted for combustion of pellet, automatic igniter and a wide range of power. The induction boiler π works based on the phenomenon of electromagnetic induction consisting in the change of magnetic flux. 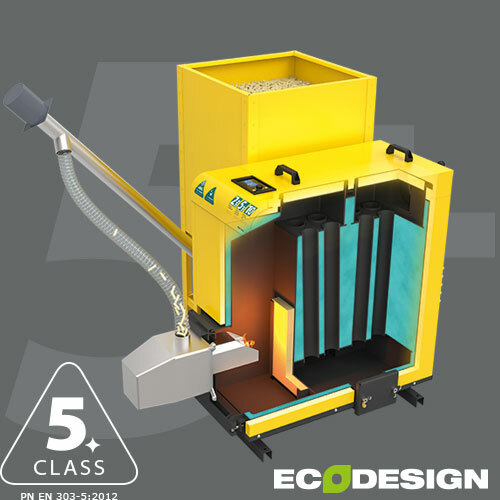 designed for combustion of non-wood pellet made of non-wood biomass. Air heater and boiler in one device. based on the fuel oil. The device is intended for storage of hot water and accumulation of its excess.